Nothing seems to get you in the Holiday spirit quite like the sounds of Christmas music. That’s why we put together this list of top 10 Christmas Country songs. This list is based off the sales and Billboard chart placement. Country artists have always found themselves a home on the Christmas charts alongside artists from other genres of music. Christmas music is one of the most unifying types of music where we see the genre walls break down. In fact, some artists see much of their success from Christmas music – for example, Michael Buble seems to come out of hibernation every year around this time to dominate the music charts. We took a look at the charts from the last few years and have compiled this list of top Christmas Country songs based on Billboard chart success. There are a couple of surprises on here, but for the most part, all your favourites are here. 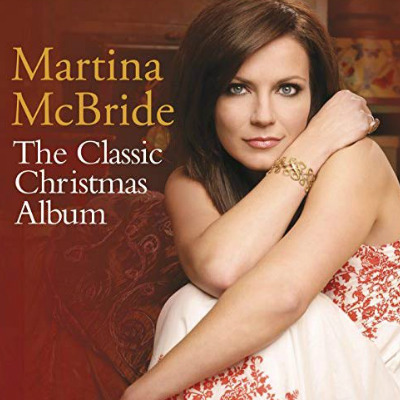 Martina McBride released her version of this Christmas classic back in 1998 on her White Christms album. Then again in 1999, and again in 2007… and one more time in 2013. In total, she has released the White Christmas album for a total of 4 times with slight variations for each one. Her version of the song is familiar, classic, and not too different. I think this is the best part of it. It’s the classic song everyone loves, but with a contemporary voice. This song just makes us want to get into our jammies, dim the lights, plug the Christmas tree in, and drink a nice cup of hot cider. Everything about this song is Christmas! This album was certified Gold in the US in 1999, and Platinum in 2003. The album has sold close to 2 million copies! It’s shocking that this is one of the top country Christmas songs. It’s not surprising that Dolly makes an appearance on this list, it’s just this song. This song was written for the musical The Best Little Whorehouse in Texas. Let’s just think about that for a minute… one of the top Christmas country songs is from a show about a brothel. There’s a punchline in there somewhere, no? Regardless, this song was released in 1982 and peaked at number 8. It received decent airplay throughout the 80s and 90s during the Christmas season, and was performed on Bob Hope‘s Christmas Special in 1988. During the late 1990s, when RCA reissued Parton’s 1984 holiday album with Kenny Rogers, Once Upon a Christmas, Parton’s recording of “Hard Candy Christmas” was added to the track list. Kelly Clarkson could sing the alphabet and turn it into a heartfelt hit. Seriously. This woman can do no wrong – at least where music is concerned… have you seen that movie she did after American Idol? Yeesh! In 2013 she released a Christmas album called Wrapped in Red that reached number 1. If you listen to the whole album, there’s no confusion as to why this album performed well. But her version of “Silent Night” with country superstars Reba and Trisha Yearwood will stop you in your tracks. This version is so beautiful, that it’s almost impossible to sing along to it – you want to listen to their voices instead of yours. This version of “Silent Night” continues to perform well on the charts. While Kelly Clarkson herself isn’t a country artist (although, she’s had a number of hits on the country charts), her voice meshes perfectly with the country royalty she’s singing with. Love this song! Of course Frosty would be friends with Willie Nelson! What do you think is in Frosty’s corn cob pipe? Wait – Did Frosty actually come to life, or was it just a really weird trip? 🤔. Things that make you go – “huh”. “Frosty The Snowman” was a single on Willie Nelson’s Christmas album Pretty Paper which was released in 1979. This record had a total of 12 songs, but “Frosty The Snowman” has had the longest staying power over the years. You can still hear it on almost any radio station regardless of genre. His voice and version is really familiar – It’s reminiscent of the original from Jimmy Durante. I think that’s why it has had some staying power. It’s familiar, but the sound quality is much better. So it almost replaced the original in some sense. This is one of the biggest staples for any Christmas album. It seems like most Christmas albums include this song. LeAnn Rimes’ version of “Rockin Around The Christmas Tree” was part of her 2004 album What a Wonderful World. This album is heavily inspired by the Jazz genre, but it pairs very nicely with her country voice. The horns are actually a nice addition to the list of country music. The album wasn’t as well received as you might think. It only received a 2.5 stars out of 5 from music critics AllMusic. But this song performed well on the charts. Fun fact – this album was a hit in Japan. Did you know that country music is actually incredibly popular in Japan? Crazy, I know. Here’s another voice that could sing the alphabet and have us all experiencing goosebumps with tears running down our faces. Carrie Underwood is one of the biggest country stars, and there’s no mistaking why. Her version of “Do You Hear What I Hear” is as amazing as you might imagine. This single was originally released in 2007 compilation album Hear Something Country Christmas. Then it was re-released in 2008 as a Wal-Mart exclusive of her album Carnival Ride which included 5 Holiday tracks on a second disc. This song, of course, performed well on the charts. Carrie attracts fans from all sorts of genres. While country, she can be considered a cross-over artist. So it’s an approachable song for all radio stations to play. Everybody’s favourite country trio Lady Antebellum released a Christmas album in 2012. It was their 4th studio album, and their single “A Holly Jolly Christmas” landed at number 1 on the Billboard Top Holiday Albums list, number 2 on the Billboard Top Country Albums list, and number 8 on the Billboard 200 all in 2012. The album was also certified Gold in the United States. It’s a great single, and it has consistently been one of the top Holiday songs every year since. The cross-over success with “Need You Now” is likely one of the reasons their Holiday album and single performed so well. The vocals on this track are flawless, as is to be expected from these three. It’s a great song that will help anyone get into the Christmas spirit. Gwen Stefani might not be a country artist, but her boyfriend Blake Shelton sure is! This song was released in 2017 and features Blake Shelton, which gives the song a country flare. It’s a really fun song that highlights the unique vocals from Gwen Stefani, and the typical Blake Shelton sound we love hearing. This song may have been released in 2017, but it’s performing better on the charts this year! This is due to these two releasing a music video. It landed a number 2 spot on the Canada AC charts, as well as the Bubbling Under Hot 100 chart. 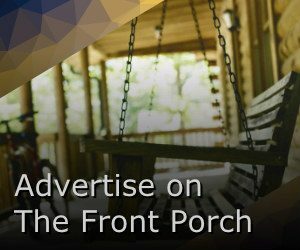 While not traditionally country, it’s seems to fit in nicely in the mix on country radio stations, and there’s no doubt that it’s a successful original Holiday song (which doesn’t happen often). Who doesn’t love this country artist? Brett Eldredge’s name seems to be on everyones lips lately! And can you blame them? He’s a talented performer and songwriter! His Christmas album Glow was released in 2016, and again in 2018 as a deluxe version featuring 7 new tracks. He teamed up with Meghan Trainor, one of music’s top songwriters and pop star, on the Christmas classic “Baby, It’s Cold Outside”. His country vibe, and Meghan’s great voice make this version of the classic one to remember. It features big band sounds and is a great update to the original. It charted well when it was released, and continues to chart well this year. Actually, this whole album is great! We recommend adding it to your repertoire of Holiday albums. Is it any surprise that “Where Are You Christmas?” from Faith Hill is the top country Christmas song of all time? Not only is it a great song, but it was from the soundtrack of the beloved Christmas movie How The Grinch Stole Christmas. This may be one of the only songs since Mariah Carey’s “All I Want For Christmas is You” that has become a Christmas classic. It was released in the year 2000 (can you believe that it’s been that long?) on the original soundtrack to the movie, and was released again on her album Joy to the World. Fun fact – This song was co-written by Mariah Carey, and was supposed to be sung by Carey, but ended up being recorded by Faith Hill for the film. What do you think – what is your favourite Christmas country song? Did it make the list? Regardless of whether your favourite song is on the list or not, we want to wish everyone a very Merry Christmas, a Happy Holiday, and a great New Year! We can’t wait for 2019. Carrie Underwood Releases New Single "Cry Pretty"